The FBI agent who was fired from Special Counsel Robert Mueller’s Russia investigation team for sending anti-Donald Trump text messages conducted the interviews with two Hillary Clinton aides accused of giving false statements about what they knew of the former secretary of state’s private email server. But another Strzok interview subject was not so lucky. At the time, Strzok was the FBI’s top investigator on the fledgling investigation into Russian interference in the presidential campaign. He was appointed to supervise that effort at the end of July 2016, just weeks after the conclusion of the Clinton email probe. CNN reported on Monday that as the FBI’s No. 2 counterintelligence official, Strzok signed the documents that officially opened the collusion inquiry. 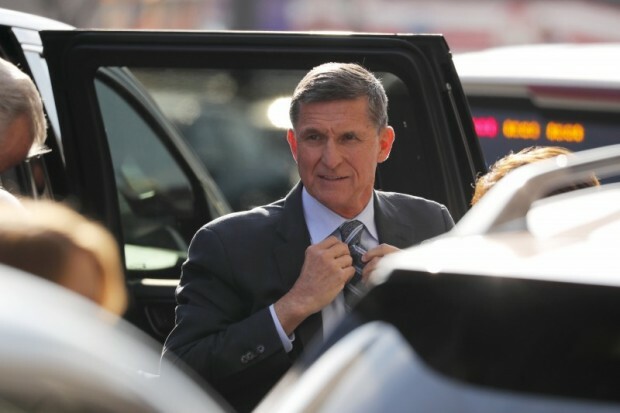 The starkly different outcomes from Strzok’s interviews — a felony charge against Flynn and a free pass to Mills and Abedin — are sure to raise questions from Republicans about double-standards in the FBI’s two most prominent political investigations. FBI Director Christopher Wray will likely be pressed on the Strzok scandal on Thursday when he attends an oversight hearing before the House Judiciary Committee. Strzok was also a prominent part of the Clinton investigation, so much so that he conducted all of the most significant interviews in the case. Along with Justice Department attorney David Laufman, Strzok interviewed Clinton herself on July 2, 2016. The pair also interviewed Mills, Abedin and two other Clinton aides, Jake Sullivan and Heather Samuelson. Summaries of the interviews, known as 302s, were released by the FBI last year. A review of those documents conducted by The Daily Caller shows that Mills and Abedin told Strzok and Laufman that they were not aware of Clinton’s server until after she left the State Department. Abedin also denied knowing about Clinton’s server until leaving the State Department in 2013. “Abedin did not know that Clinton had a private server until about a year and a half ago when it became public knowledge,” the summary of Strzok’s interview with Abedin states. “hrc email coming back — is server okay?” Mills asked in a Feb. 27, 2010 email to Abedin and Justin Cooper, a longtime aide to Bill Clinton who helped set up the Clinton server. “Ur funny. We are on the same server,” Cooper replied. “Had to shut down the server,” wrote Cooper, who told the FBI in his interviews that he discussed Clinton’s server with Abedin in 2009, when it was being set up. Former FBI Director James Comey defended the Clinton aides’ inconsistent statements in a House Judiciary Committee hearing held on Sept. 28, 2016. “Having done many investigations myself, there’s always conflicting recollections of facts, some of which are central [to the investigation], some of which are peripheral,” Comey told Jason Chaffetz, a former Utah congressman who served on the committee last year. Chaffetz was not buying Comey’s dismissive response. “I think she lied to everybody,” he said of Mills in an interview on Fox News the night of the Comey hearing. Chaffetz suggested that Mills would have had an incentive to deny knowing about the server during Clinton’s State Department tenure because it would allow her to cite attorney-client privilege to avoid discussing certain aspects of Clinton’s email setup. Mills began working as one of Clinton’s lawyers just after they left the State Department. Strzok’s role in the Clinton and Russia investigations took on a new significance on Saturday after the bombshell revelation that the FBI veteran exchanged politically-charged text messages last year. Strzok was kicked off Mueller’s team over the summer after the Justice Department’s inspector general discovered that he sent the messages to Lisa Page, an FBI lawyer and his mistress. The watchdog has been investigating the FBI and DOJ’s handling of the Clinton email matter. Page also worked on the Mueller team for a short time over the summer. It was reported back in August that Strzok had been removed from the Mueller team to the FBI’s human resources department. Mueller’s office had declined for months to comment on the mysterious personnel move. The FBI and Special Counsel’s Office did not respond to requests for comment.